Dr. Ruben Echeverria is a distinguished alumnus of the College of Food, Agricultural, and Natural Resource Sciences, earning both a master’s degree and a doctorate in agricultural and applied economics. Dr. Echeverria came to Minnesota in 1976 midway through his bachelor’s program in agronomy at the University of Uruguay as part of a two-year work-study program sponsored by the Partners of the Americas. He worked on a family dairy farm, attended courses in agriculture at the University, and worked for six months at one of the University’s agricultural experiment stations. This experience had a profound impact on Dr. Echeverria’s life and he pledged to return to the University for graduate school. After he completed his undergraduate degree he secured a World Bank scholarship to study in the United States and began his graduate studies at the University. During this time he maintained regular contact and often visited the farm family he lived with during his first stay in Minnesota. He remained active with the Partners of the Americas and worked to improve the links between the program and agricultural students throughout Latin America and the Caribbean. Dr. Echeverria began his professional career at the International Service for National Agricultural Research, where he gained invaluable research experience in Africa, Asia, and Latin America. From there he moved to the Inter American Development Bank where he rapidly rose to become chief of Agricultural and Rural Development and managed and implemented millions of dollars of agriculture development investment loans in Latin America. He was appointed executive director of the Science Council of the Consultative Group on International Agricultural Research (CGIAR), a collection of international agricultural research centers, one of which was home to Norman Borlaug when he did his Nobel Prize-winning research. 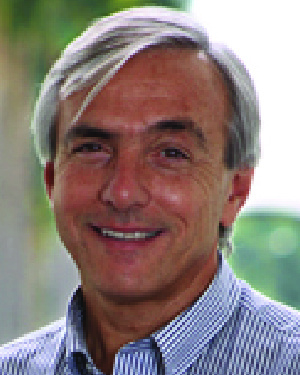 In March 2005, after years of demonstrated leadership in international agricultural development, Dr. Echeverria was appointed director general of the International Center for Tropical Agriculture (CIAT), one of the founding centers of CGIAR based in Cali, Colombia. From his modest farming roots to his formative experiences in Minnesota, Dr. Echeverria has gone on to exceptional international service, most notably in national and multinational investing and policies affecting national and international agriculture and agricultural research and development throughout Latin America and the rest of the developing world. He has used his talents and leadership not only to address the role of agriculture in alleviating hunger through research but through his leadership of multiple international agencies to address policy issues and leverage development funding. In naming Dr. Ruben Echeverria as a recipient of the Distinguished Leadership Award for Internationals, the selection committee cited his global contributions to agricultural development and poverty. He is a renowned leader and communicator in international agriculture and a dynamic force in the international agricultural research system.